This isn’t the first time, legendary Actor/Director Clint Eastwood has made a war film. First came “Heartbreak Ridge”, which focused mostly on military training. What followed, was a view-point from both sides at The Battle of Iwo Jima, with the American made “Flag Of Our Fathers”, and the Japanese “Letters Of Iwo Jima”. Last year saw director Peter Berg (Battleship and Friday Night Lights), tackle the true story of Marcus Luttrell, a navy seal who was the lone survivor of Operation Red Wing back in 2005. This year, Clint is back with a biography on the Elite, navy seal sniper Chris Kyle. His pin point accuracy saved countless lives during his four tours in Iraq. The film chronicles Chris’s initial training and each of the tours he fights in. The war is intertwined with his family life back home, with wife Taya and their two kids. 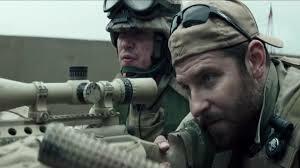 The film stars a much heavier, Bradley Cooper (The Hangover), as Chris Kyle, along with Sienna Miller, Kyle Gallner, Kevin Lacz, Jake McDorman and Cory Hardrict. 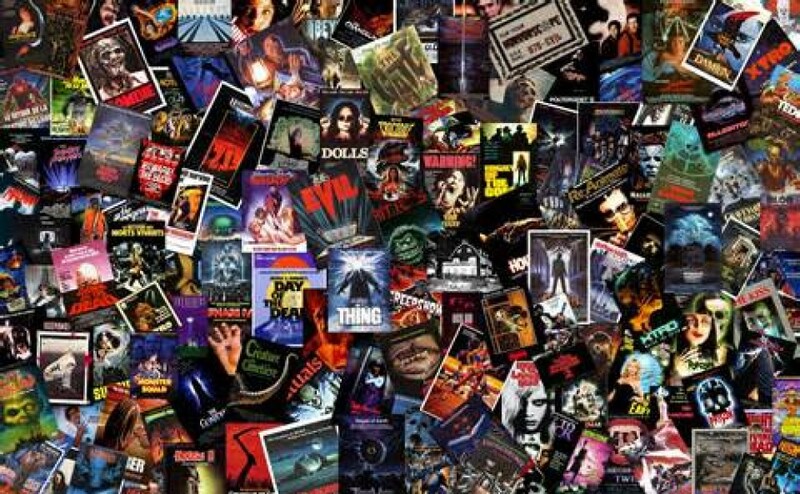 Clint Eastwood rarely puts a foot wrong when it come’s to everything and anything film related, especially casting. He often says in interviews, that it determines whether your film is going to be a success or not. 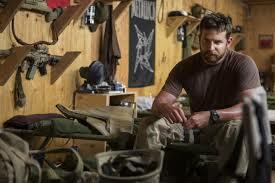 Clint took a risk on Bradley Cooper, a pretty boy with a body of work consisting mostly of comedic roles. With films like “American Hustle” and “The Place Beyond The Pines”, Cooper began to show audiences he could be successful in more than just comedy. I’m not sure anyone thought the lead role in an Eastwood biopic about the war in Iraq, would be the film to do it. Much to everyone’s surprise, it’s exactly what Bradley has done. When you do 4.5 hours a day of pure weight training to get yourself looking like the real guy, you’re already showing a true dedication to getting it right before you step on set. Combine the extra 40 pounds (I think it was), with a fierce beard, and Cooper really starts to become Chris Kyle. The credit goes to both Actor and Director for making it as real as possible. 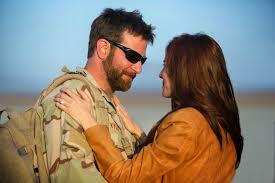 Sienna Miller is really cast as Taya, the wife of Chris Kyle. In the closing credits there are pictures of the two together and you can really see the resemblance in both lead actors. Sienna grounds the film with her emotionally torn performance. There is such authenticity to the screenplay, in regards to the depiction of the war and Chris’s family life too. I haven’t read the book, which I believe is mostly descriptions about the situations Chris encountered during battle. He was deadly with a sniper rifle but didn’t just limit himself to high ground positions. He actually spent a lot of time going door to door with the ground combat teams. His passion to protect his family and country is evident right from the outset, it’s like he was built for that kind of life (as much as one can be, I suppose). The film covers how he met his wife and the birth of their two children, but doesn’t shy away from showing the tough times, when he feels like he hasn’t done enough and has trouble adjust to civilian life. It’s a pretty even coverage of personal life and war. The camera work is pretty rapid and intense, which is what you would expect in the heat of battle. The style of shooting and shot choices are much more calm when representing home life, so you get the two extremes. The action sequences can be difficult at times, especially the scenes with young kids. They are necessary and the most powerful, but a difficult watch none the less. The forcible shooting style helps generate the suspense, and really depicts the struggle these guys go through in making the correct decisions. It’s a first hand look at what war does to your psyche. It’s never pretty and always confronting, exactly how it should be. Since a video clip surfaced online of the fake baby they used in one scene, people have been quick tearing the film apart. I’m sure a real baby was used when Chris and Taya’s son is born, but for whatever reason (and I’m sure it’s a good one because it’s Clint people! ), a real baby girl wasn’t used for the second child. Babies are unpredictable at the best of times, so I’m sure there was good reason for making that decision. Who knows? Maybe we will find out on the extras when the hard copy get’s released?. Deduct the movie half a star, hell even a full star if you’d like, but get on with the critique. It’s one very small scene in a 136 minute film, get over it. I found Cooper’s dialect a little difficult to understand for the first 20-30 minutes. I missed a few pieces of dialogue because of it. That’s probably on me and not the film, but it doesn’t help when the characters mumble. The character development and content is all there, but some of the sequencing is very scattered and unlike Clint. Maybe being 84, he doesn’t have quite as keener eye as he once did. The films primary purpose is to show Kyle in action during those tours, the family stuff is as important but comes secondary. The first 30 minutes of the film gets most of that stuff out-of-the-way, so the viewer can see Kyle’s skill set first hand. The flashback to his childhood, the rodeo, his cowboy lifestyle with an unhinged girlfriend and the relationship with his brother seemed done and dusted before you knew it. Then 9/11 happens, and Kyle without hesitation decides to go and sign up for the Seals. A segment or two of the film shows the brutal training regime these guys go through in order to be classed as a frogman (seal). The setup for Kyle and Taya from their first encounter through to the wedding day, seems to happen so fast that the bond isn’t really solidified. The editing in between his weapons training and ongoing courting of Taya, seems like an odd parallel editing structure. Clint’s focus should have been on establishing the bond first and then cut to his preparation for war, or visa versa but not intertwined them. Moreover, several of the plot details were either stopped dead in their tracks or were unclear. Kyle’s younger brother ends up being deployed in Iraq, but there is no form of contact between the two. Taya forgets to tell Kyle, which I wouldn’t think would be possible, what else have you got to talk about?. It’s not until Kyle is heading off for another tour, that he crosses paths with his brother at the airport. The two have a conversation which basically consists of “This is fucked”, meaning the war situation. Other than the beginning of the film, the two don’t share any scenes or have any contact with each other. I thought it may have been addressed when Chris arrived home, but alas. It was like a plot point that didn’t need to exist. In the flashback to their childhood it seemed as though they had a really strong bond that the writing would expand on. I don’t know the type of relationship they had in real life, so maybe that’s how it really was. Then we have a scene that takes place in the hospital just after Kyle’s daughter is born. He’s standing at the window as his daughter cries, but the nurses are ignoring him and the crying. He screams at them to help his daughter but no one does. Normally, it’s obvious if someone is dreaming because they wake up sweating or some such thing. Sometimes it’s even a manifestation caused from stress or paranoia, and they snap out of it. What was going on in that scene was about as clear as mud. Kyle’s actions hinted that he was on the verge of snapping, the example being the car ride home from hospital. He gets increasingly agitated with another driver but nothing comes of it. 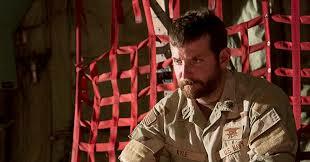 American Sniper is a tragic story, but a well made film covering both aspects of Chris’s life. It’s important that people who are calling this American propaganda etc, know that it was the general public labeling Chris Kyle a hero, not himself. To make it seem like he enjoyed doing these things or they had no effect on him and he boasted about it, is just plain wrong. Like I said, I haven’t read the book so I can’t say for sure, but this appeared to be a guy who wanted to do everything to protect his brothers in arms, his family and his country. I wouldn’t wish what he experienced upon anyone. Clint has raised the bar so high over a lifetime with near perfect films like, Gran Torino, Flag Of Our Fathers and Million Dollar Baby. American Sniper just doesn’t reach that next level. 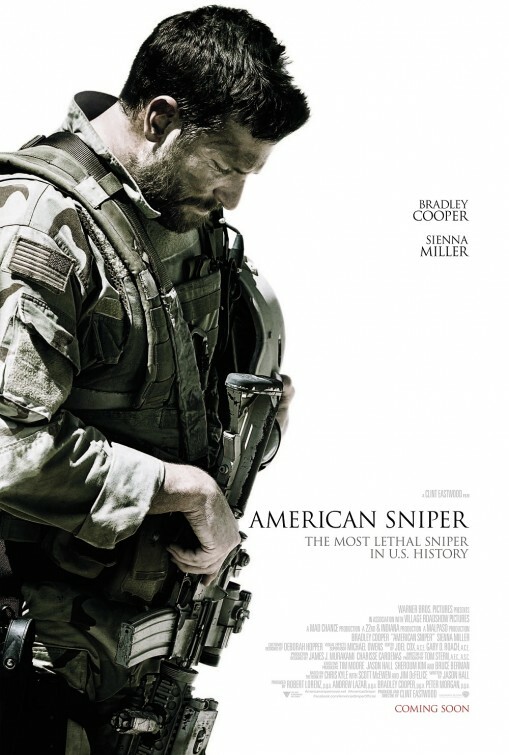 Unlike 2013’s “Lone Survivor”, American Sniper lacks the urgency of Berg’s film, and a more evenly rounded cast and a neater structure could have given this more of an impact. It’s still a very solid film from the legend and I hope he keeps making them.